I trust everyone has survived this rather harsh winter and is looking forward to spring (hold on, we’re almost there)! The 38th Annual Meeting of the Southern Association for Vascular Surgery was held at a landmark resort in Palm Beach, Florida (The Breakers) on January 15-18, 2014. It was a huge success and offered new insights into the advances in vascular and endovascular surgery. The success of this meeting would not be possible without the leadership of our Past President, Tom Huber; our Secretary-Treasurer, Eric Endean, who kept everything running so smoothly; the Local Arrangments Committee Chair, Dr. Robert Feezor; and, of course, April Conti and her staff at PR/RI. The total number of registered physicians was the highest ever this year. The Society continues its success in attaining corporate sponsorships from industry. Our SAVS Mock Oral Exam continues to be a success and represents the largest such exercise in the United States for our specialty. In fact, 35 candidates were examined and I want to thank the examiners for volunteering their time in this important task and W. L. Gore for their generous support of this endeavor. In fact, we have been asked to discuss this program at the upcoming Vascular Annual Meeting. One of the highlights of this meeting was the impressive scientific sessions covering important topics in vascular/endovascular treatment. 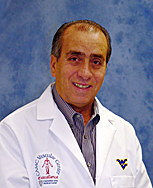 Thank you, Dr. Moursi, for a job well done. In fact, we should all be very proud of our scientific sessions over the past several years, especially since our society continues to have the highest acceptance rate for publication in the Journal of Vascular Surgery of all of the regional vascular societies. Of course, another highlight was the Presidential Address on Professionalism and the Work-Life Balance by Dr. Tom Huber. What a timely address for all of us and future generations in vascular surgery. I presume this is the life of a vascular surgeon, which all of us cherish. I also want to thank Dr. Huber for choosing two of our vascular surgery leaders for awards and commend them for their outstanding presentations. Dr. Lazar Greenfield was awarded The Rudolph Matas Lifetime Achievement Award and Dr. Gerald Zelenock was awarded The Jesse E. Thompson, M.D. Distinguished Guest Lecturer Award. Dr. Zelenock’s topic was Trends in Vascular Surgery Education and Practice: A Nod to the Past and a Wave to the Future. I have been a member of the SAVS for 24 years, and after serving on the Executive Council, Budget Committee, and Program Committee over the past ten years, it is indeed an honor to serve as President of the Southern Association for Vascular Surgery. As we embark on this new year, I am looking forward to working together with all of you to keep our Society strong and vibrant and to seeing all of you at the 39th Annual Meeting on January 14-17, 2015 at the Fairmont Scottsdale Princess in Scottsdale, Arizona. Finally, on behalf of the Executive Council and myself, I would like to thank our industrial partners for their generous support for this activity.